Press Release: SECUREDATA Wins The Red Dot Product Design Award of 2019! SecureData wins the Red Dot Product Design Award of 2019! 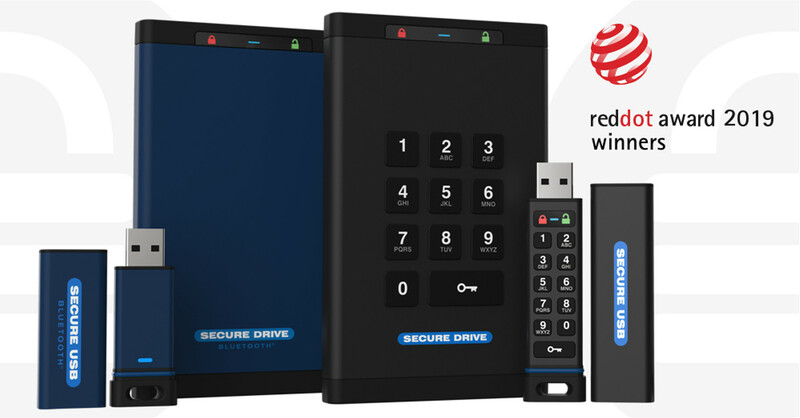 Los Angeles, CA – Today SECUREDATA announced that it has won the globally recognized and prestigious Red Dot Award: Product Design 2019 for its complete line of the encrypted data storage devices. 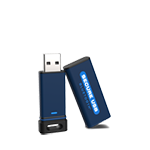 The SecureDrive® products are FIPS 140-2 Level 3 validated, hardware-encrypted, external portable drives. 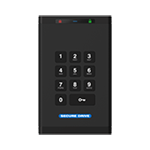 They feature OS-independent user-authentication via onboard keypad or secure wireless connection and combine top-rated security with ease of use. The Red Dot Award: Product Design is one of the world’s largest design competitions. In 2019, designers and manufacturers from 55 countries entered more than 5,500 products in the competition. The international jury is comprised of experts from different disciplines and has been convening for more than 60 years in order to select the year’s best designs. During an adjudication process that spans several days, they try out the products, discuss them and ultimately reach a well-founded decision regarding the design quality of the entries. True to the motto “In search of good design and innovation”, their assessment focuses on criteria such as the level of innovation, functionality, formal quality, longevity, and ergonomics. 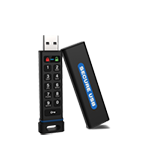 More information regarding the SECUREDATA products line can be found at: securedrive.com. ClevX is an information security technology company – Your Innovation Partner. 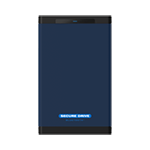 It is focused on the Security/Mobility markets where ClevX pioneered its award-winning DATALOCK® KP/BT Secured USB and drives (OS-agnostic, hardware encrypted, PIN- or Phone-activated, bootable) and easy-to-use portable software applications for secure drives for personal and business use. ClevX differentiates itself by creating solutions that are simple, clever, and elegant. For more information, please visit: clevx.com. In order to appraise the wide scope of design in a professional manner, the Red Dot Design Award is broken down into the three distinct disciplines: Red Dot Award: Product Design, Red Dot Award: Brands & Communication Design and Red Dot Award: Design Concept. With more than 18,000 submissions, the Red Dot Award is one of the largest design competitions in the world. In 1955, a jury convened for the first time to assess the best designs of the day. The name and brand of the award were developed in the 1990s by Red Dot CEO, Professor Dr. Peter Zec. Since then, the sought-after Red Dot is the revered international seal of outstanding design quality. The winners are presented in yearbooks, museums and online. For more information, please visit: red-dot.org.